Little Tikes Super Chef Kitchen Only $65 + FREE Shipping! 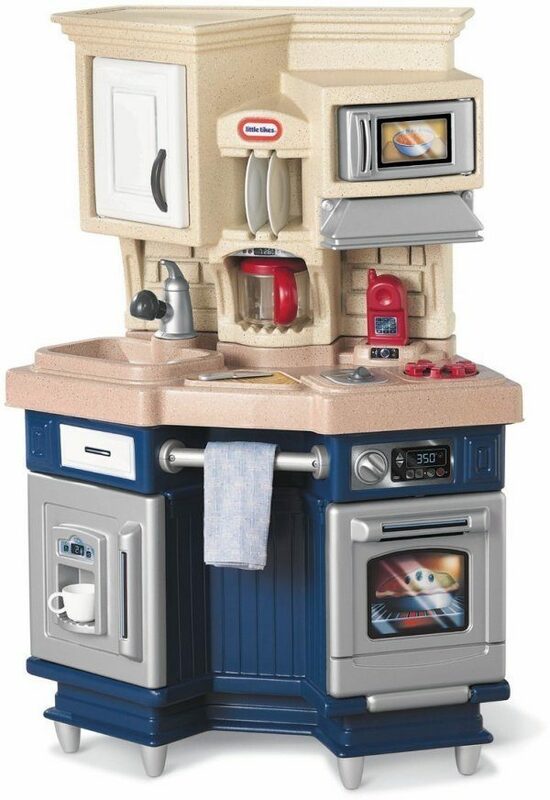 You are here: Home / Great Deals / Little Tikes Super Chef Kitchen Only $65 + FREE Shipping! If your kiddo’s been wanting a play kitchen, you’ll want to check out this fantastic deal – get the Little Tikes Super Chef Kitchen for just $65 (reg. $95.99)! And, this ships for FREE! My daughter LOVES her play kitchen, and I love the fact that this can fit nicely into a corner. It could fit anywhere! And, it’s so neat that it comes with a coffee pot and towel rack. I love all the extra details like that!